Reduced Bandwidth - Without an anti-spam software in place, your organizations bandwidth will slow web traffic down to almost a crawl. This is important because slow bandwidth could be greatly affecting your company's competitive advantage. Network Security - There's no question, spam is one of the prime outlets that acts as a host for a wide range of unwanted security threats like spyware, phishing, scams and adware. Not only that, but viruses and Trojans can also be released through spam. Decreased Productivity - When staff members need to sort through a pile of spam email on a daily basis, they are wasting valuable time that could be spent on more important job related duties. By utilizing an effective anti-spam program, your business will never have to worry about the dangers of junk mail again. Just like our entire line of products, the Nebero anti-spam that operates at the network gateway level will leave you truly amazed. Taking Nebero Systems to the top of our industry, this reinvented program will weed out all of your unwanted emails and bot attacks so that you can have a peace of mind when it comes to accessing your email. By using domain keys, content analysis, SPF and RBL lists; we ensure that undesirable content is not able to reach your network through our anti-spam software. Each preventative resource will be utilized to analyze individual emails that enter your organizations network to make sure only legitimate, company related emails and attachments are received. With new, innovative anti-spam technologies, Nebero Systems now brings you one of the best spam preventing products ever released. Unlike our competitors, our product will actually prevent every single piece of hazardous junk mail from infiltrating your network. Through our world-class anti-virus program, emails are scanned in a transparent mode with no additional configuration needed on either the client or server side. Once you use our elite spam preventer, you will be truly amazed at the results. Because we strive to exceed all of our client expectations, we have invested a lot of time and resources into perfecting the Nebero anti-spam program. Quite simply, when it comes to anti-spam protection, there isn't a better option than the one that we provide at Nebero Systems. 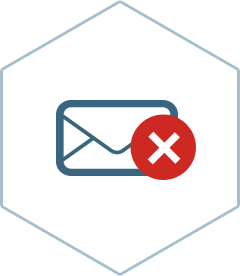 By replacing unwanted email content with standard defined messages, we ensure that no malicious content or attachments will be accessed through your organizations network. Additionally, all restricted content will be completely removed, while email subject titles and headers are modified to reflect content specific headers. This will help you have a better understanding of all the hidden meanings that are contained within spam email. Without question, when it comes to complete network protection and security, our elite line of products will fully protect you every step of the way. In fact, we are so confident in our programs abilities, that we can guarantee that you will never be disappointed with the Nebero anti-spam software.